One of the most frequently used features of entrée is the Search Screens. When your system holds volumes of important data, finding what you need quickly and easily becomes a top priority to effectively use our software. 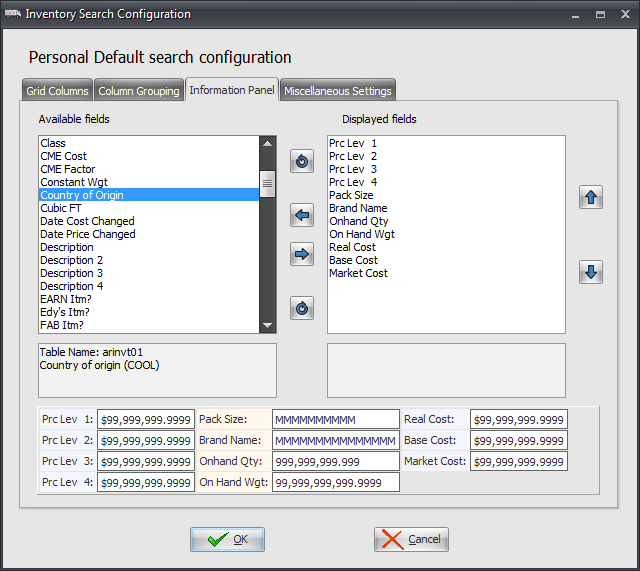 Search Screens are available for all the key databases in entrée including inventory, brands, customers, contacts, vendors, salespeople, invoices, purchase orders, etc. Based on the power of SQL, search results are displayed almost immediately from your databases containing hundreds of thousands or millions of records. All of the Search Screens are completely customizable down to the user level. You can define a specific Search Screen format for each database that is your "Local Company Default", and then allow individual users to further enhance the format to suit their specific searching needs known as a "Personal Default". 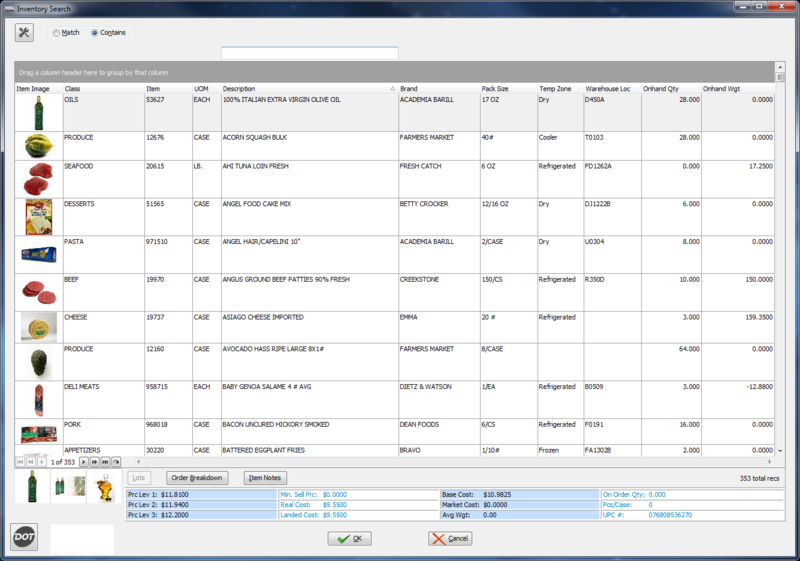 There are many data fields available to search and the "Info Panel" feature displays even more information per record. Data on the Search Screens can be easily sorted and grouped. For example, when searching in the Inventory File, you can easily group all items by Brand Name, then further group those results by Class, etc. 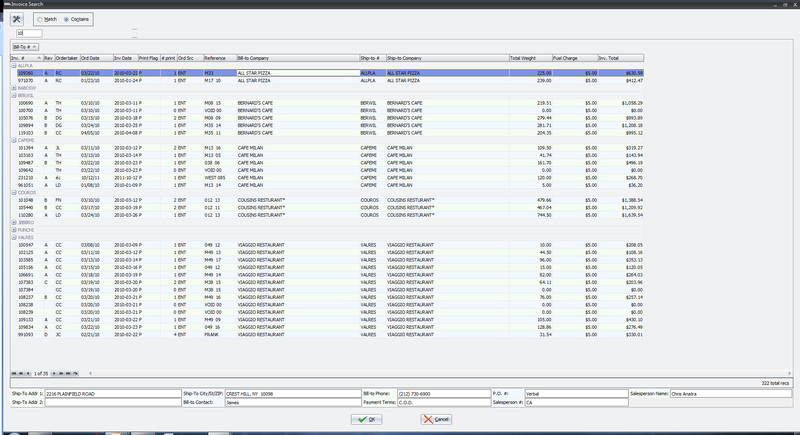 Or when searching for customer invoices, you can group the search by Customer Number or by Invoice Date. This is a truly powerful way to see and locate your data quickly. Search Screens fully support displaying images. 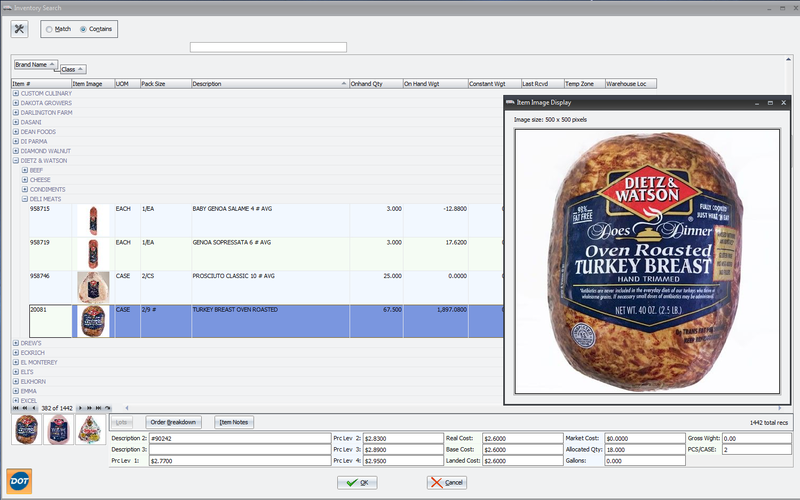 For example, when searching in the Inventory File, you can display the item image, brand logo and class image. You can view images as thumbnail, medium and large sizes. Pictures speak a thousand words, and when you can visualize your data, it makes using the search features of entrée so much faster and intuitive. You can learn more about the Search Screens by watching the 8-minute video presented by NECS President, Chris Anatra. Here the basics of setting up and using the Search Screens are covered including important new features such as "Grouping" to organize your data and help you find what you need faster than ever.